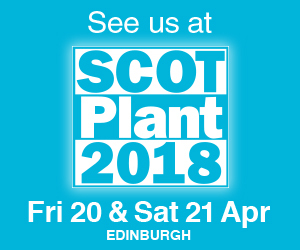 This April Morris Site Machinery will light up Scotplant with innovation taking centre stage after launching six new products in just six months, in a bid to take the industry forward in 2018. The company will showcase its compact SL80 Pallet light which has been developed to provide the market with a static eight metre mast lighting tower. The Pallet is a highly transportable and compact option, enabling 22 units to be loaded onto a euro trailer. It is one of a strong line-up of new models which have been brought to market as part of the company’s new product development strategy following the introduction of a three-tier range of products offering Ultimate, Standard and Value propositions across the main product sectors. Small in size but big on impact, the highly compact, portable and powerful TL60 Trolley light with 4 x 300W LEDs will also be demonstrated. It has been developed to be handled by a single operator with 30 units fitting on a euro trailer but uniquely also available on a skid or as a value road tow option. When it comes to other product sectors, it has applied its three tier principle, building the product and price choice for customers. Within its market-leading ArcGen welding range, it offers the Cobra 500i multi-process inverter in the Standard tier and has now introduced the ArcGen Adder 350 wire feeder and new trolley. Renowned for the Denyo range of super and ultra-silent generators, it offers plenty of choice in its market leading Ultimate Eventa range and Standard Renta range.